After several months of hit and miss, I finally feel like I had a pretty solid reading month. I might've failed miserably at the 15 books in 30 days (#15in30) challenge I issued myself, but that was something I thought might happen given all the things I had going on in April. Nevertheless, the personal challenge still helped boost my reading, and I may revisit the challenge in May. 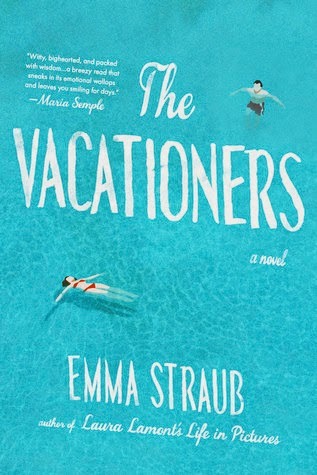 Pre-#15in30, I had started The Vacationers, by Emma Straub. When I asked the Twitters for recommendations for books that would make me feel springy, Rebecca from Book Riot recommended this one, and it hit just the right note. How soon can I book a trip to Mallorca? 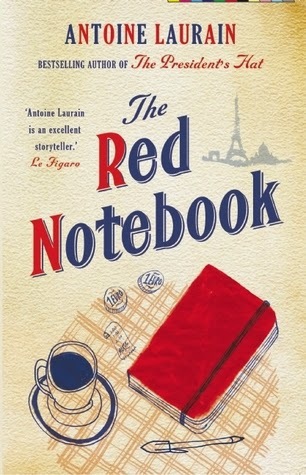 The Red Notebook, by Antoine Laurain, was the first book I sucked down for #15in30, and it was pure delight. This little French novel in translation was short, sweet, and wonderfully atmospheric. I can't wait to review it! 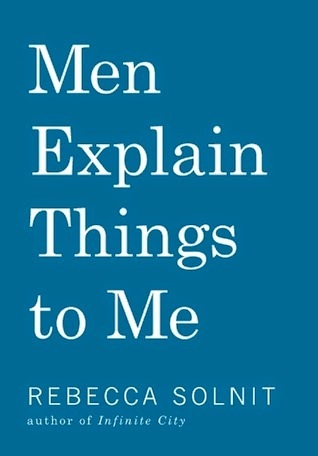 Next up for #15in30 was Men Explain Things to Me by Rebecca Solnit. While this little essay collection was satisfying on the whole, some essays were far more successful than others. 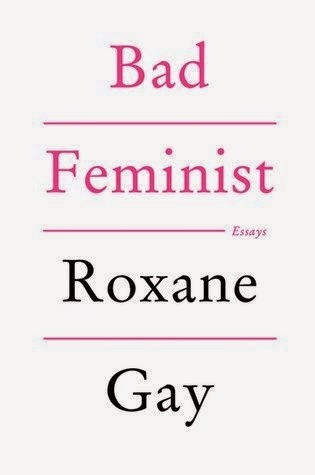 Next up, since I was on a feminist essay roll, was Bad Feminist, by Roxane Gay. This collection is simply stunning. I just can't get enough of Roxane Gay's work. 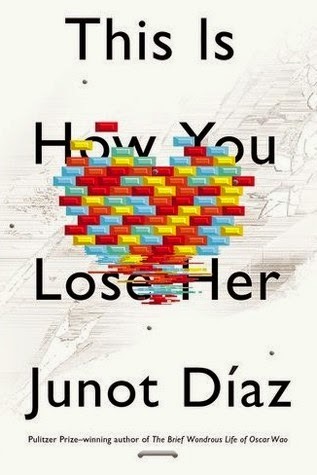 The final prose book I finished for #15in30, and the only book book I read for Readathon, was This is How You Lose Her, by Junot Diaz. It's a toss-up for favorite book of the month between this one and Bad Feminist. Diaz's work is intense and enthralling. 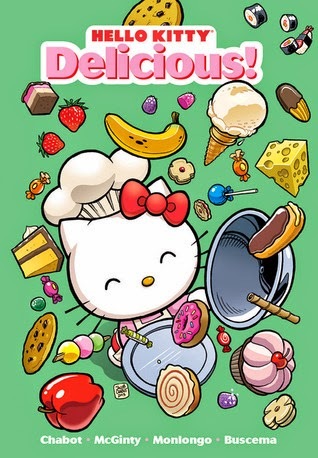 The only graphic novel I read for #15in30 was Hello Kitty: Delicious, by Jorge Monlongo. This was such a cute collection of wordless vignettes about food. Cute, cute, cute. The rest of these babies were comics I read during Readathon! So so so good! 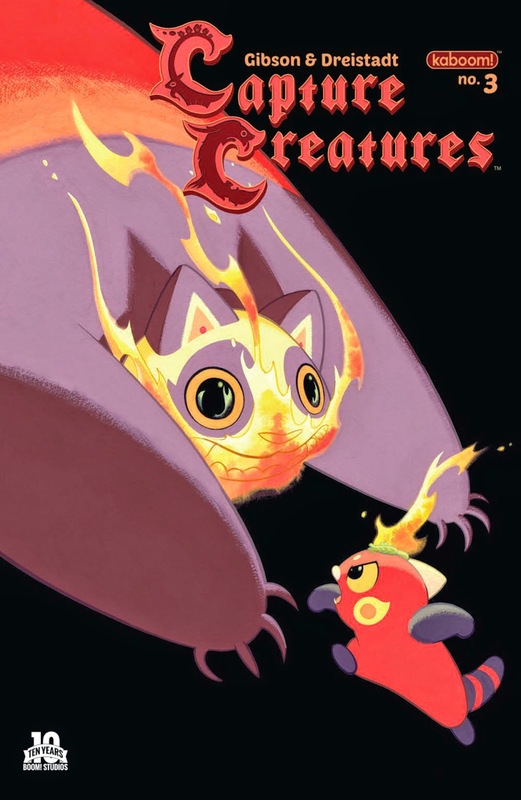 Capture Creatures #3, by Frank Gibson and Becky Dreistadt. While this one wasn't my favorite in the series, Capture Creatures is one of those series that has me hooked. 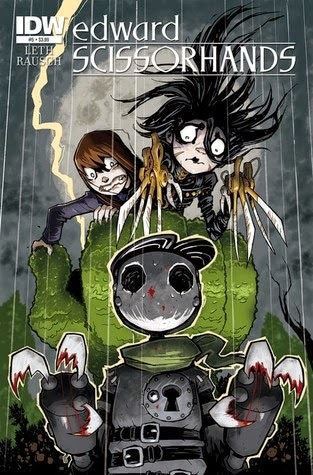 Edward Scissorhands #5, by Kate Leth and Drew Rausch, is one of my absolute faves, and this thrilling end to the first run was awesome. 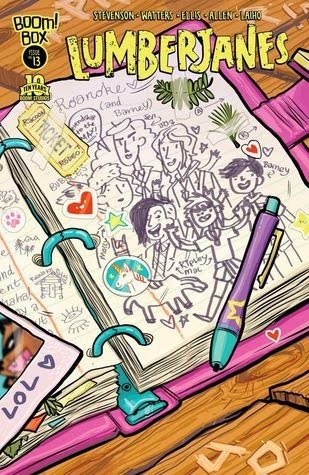 Lumberjanes #13, by Noelle Stevenson, welcomes Brooke Allen, the original artist back for a stand alone issue. I absolutely love the standalone issues, and this one was no exception. We finally get some backstory on where the Lumberjanes come from and how they originally met. So much fun. 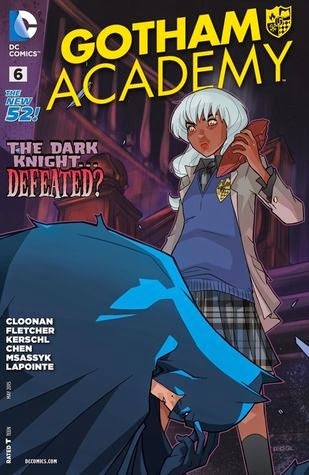 Gotham Academy #5, by Becky Cloonan and Brenden Fletcher, was one of the most thrilling in the series, and Batman finally shows up! 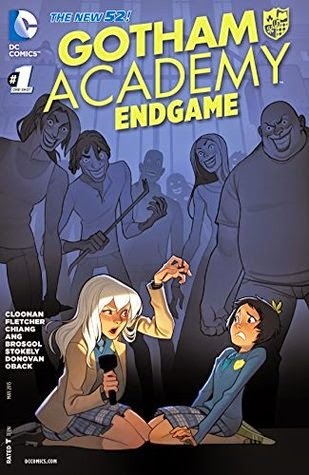 Gotham Academy: Endgame #1, was also a big hit. In this standalone, the Gotham Academy kids spend a night without electricity telling scary, ghostly stories about the Joker. Despite being super busy this month, I had a really satisfying reading experience. One of the first really satisfying months all year. Let's hope I can keep it rolling into May! I've really been anting to read 'Men Explain Things to Me' so glad to see you gave it a good nod. Just found your blog and really looking forward to following you more. Looks like you had a great month! It definitely had its moments where it felt like it went off track, but based on the amount of highlighting I did...definitely a good, thoughtful read. I hope you like it! Glad things got better for you in April! I read The Vacationers last year and wasn't a huge fan, but did love the Mallorca setting! And all the references to what had to have been based on the Rafael Nadal Tennis Center that's there! I listened to This Is How You Lose her and the narrator lost me. I need to revisit it in print. I've got to get to The Red Notebook! Glad you were able to find your stride in April! I really need to get to some Junot Diaz already! Great month! I loved The Vacationers last summer and still think about This is How You Lose Her. Check out the audible sample to hear Diaz narrate - just amazing! Thanks for being such a fan of Lumberjanes. I read the first volume for readathon and I cannot wait to get my grubby little hands on more, more, more! I really enjoyed The Vacationers even though it was filled with tension. Made me want to take a trip. Pronto. Good job on reading so much the month. Sorry you failed with your 15 books in 30 days challenge, but I'm glad you still felt like you got something out of it. You did really good for books in April. Happy May reading! Oh, how I wish I could do 15 in 30, but with my schedule, it just isn't possible. I hope you meet your goal in May. The Vacationers looks pretty good so I might have to look further into that one. I'm in a bit of a non-fiction obsession at the moment so I think I may check out Bad Feminist and Men Explain Things to Me. I'm so happy you had a good month!!! They all look fabulous. I think you should definitely redo your #15in30 challenge. I would love to participate too, as I used to be able to do that with no problems. Since school started in September of last year though, I've been lucky to read 10 books in a month. Even if you didn't meet your goal, you definitely had an amazing reading month, and that was with the readathon! Can you imagine how well you will do in a non-readathon month?!? A brilliant month! Here's hoping May is equivalently great! Looks like you managed to get a lot of reading done despite being so busy! I still really need to read Junot Diaz one day. I feel SO GUILTY. Hope you're having a great start to May! It sounds like the #15in30 challenge gave you the kickstart you were looking for, so I say success! I keep hearing wonderful things about Bad Feminist. I think I'm going to have to track down a copy.